Hellhammer will never return and will never be reformed. It is absolutely impossible to reform a band so closely linked to a very specific and unique period in time. I never considered it, no matter how substantial the offers that were pitched to me over the years. But Hellhammer's music exists, and it is an extremely important part of my life's path. And I would like to play it onstage before my demise. The first step towards the realization of Triumph Of Death, named after Hellhammer's most infamous song and intended to be a very respectful and authentic tribute to Hellhammer, were taken years ago. Triumph Of Death consists of some of Warrior's closest friends; individuals who not only love this music but truly understand it. The line-up emulates Hellhammer's final incarnation of April/May 1984, when the group had added an additional guitarist. 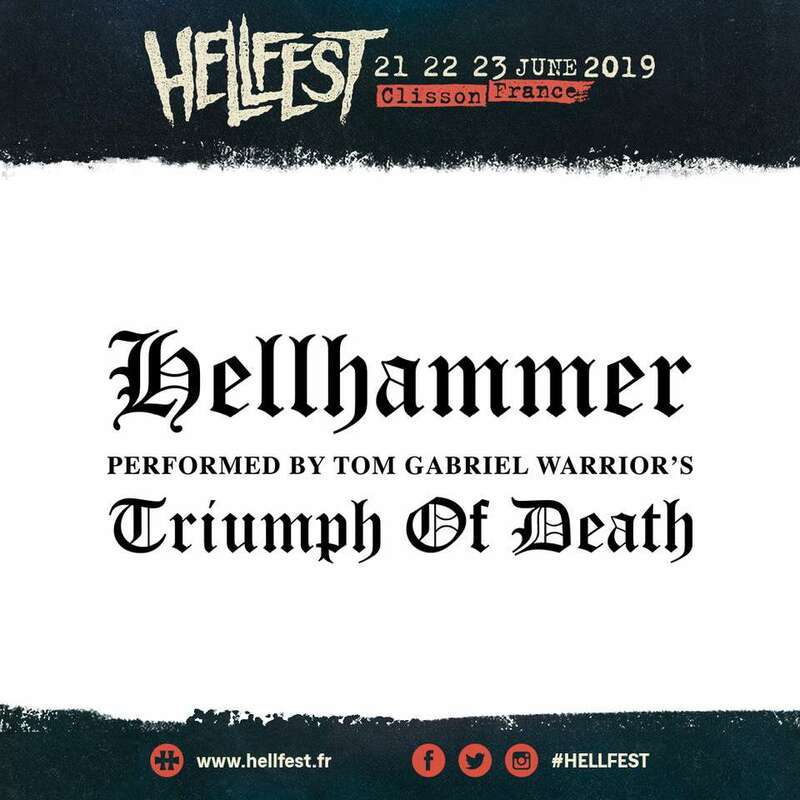 Triumph Of Death will commence playing Hellhammer's music onstage in 2019. It is a project with an open end. Apart from wage considerations to perhaps release an occasional live EP, Triumph Of Death will not record any new music but is solely dedicated to performing both well-know and obscure Hellhammer songs. The project is based in Zurich, Switzerland.